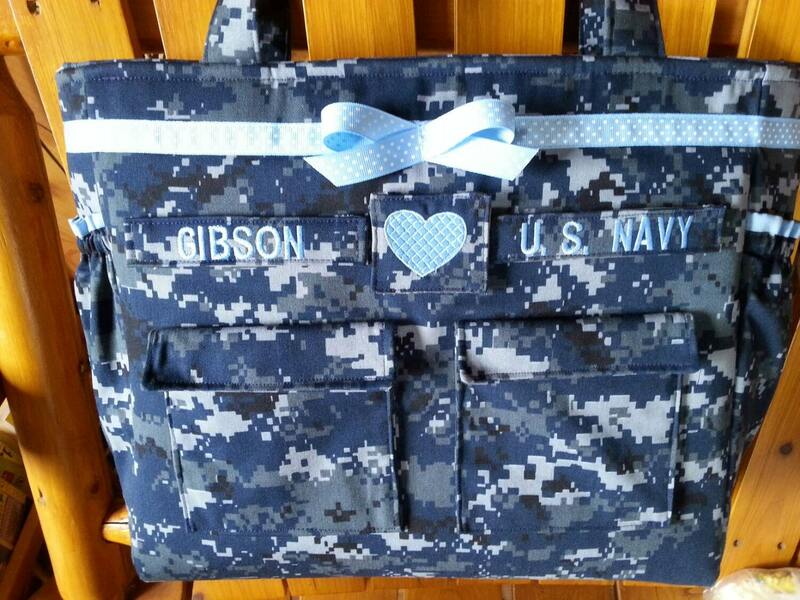 Custom handmade Navy bag. Handmade with custom embroidery. 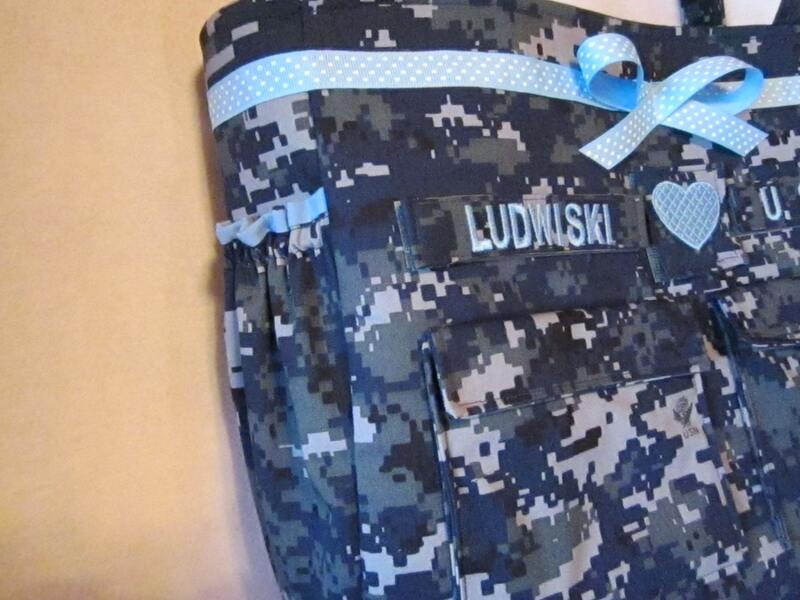 you will this bag well made and personalized just for you 17" across by 12" high and 5" deep. Firm interfacing allows bag to stand alone. Ten pockets (4 outside and 6 inside). 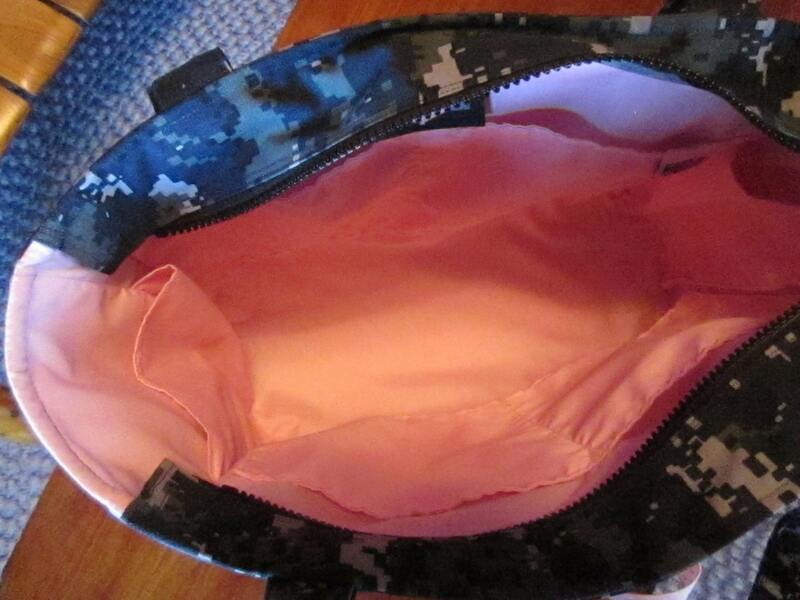 Closes with a zipper. Straps are long enough to go over the shoulder. Colors of you choice for ribbon, lining and embroidery. Let me know how you want it set up. 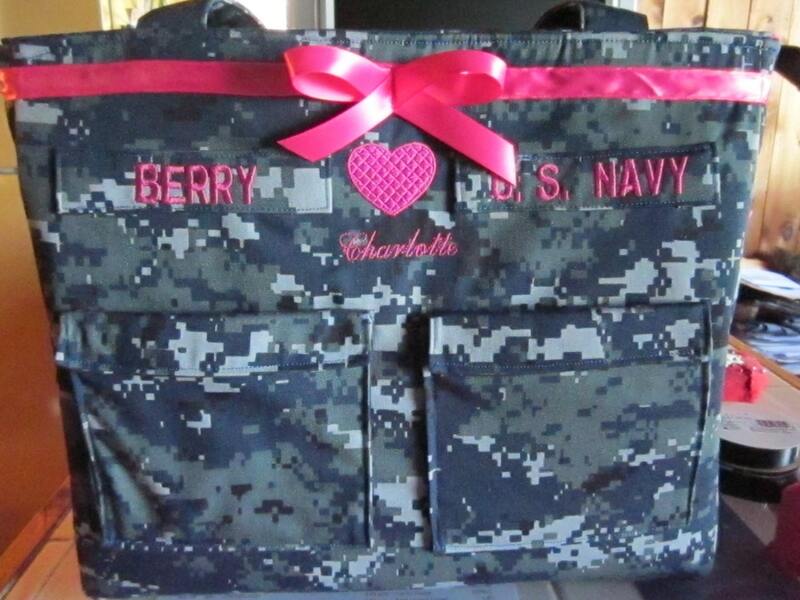 Each bag will have 2 name tpes and a heart on velcro, unless you specify otherwise. You may send me patches, etc to sew onto bag. Also, makes a great book bag or travel bag.